My entire life, I was told that Old Havana was known as a music mecca where musicians of all regions of Cuba come to play traditional Cuban music, Spanish serenades, with influences of African and European sounds. When I arrived to Havana in July of 2017, everything I had imagined about Cuba became a reality. The smell of Cuban cigars in alleyways, the sounds of a guitar and a clave in synchronicity, and the smell of pork being cooked over a fire. I was in heaven. Old Havana is a magical part of the city that still remains untouched by much of outside world. I was captivated by the architecture, old neoclassical Spanish style architecture, and the quaint European Cafe’s that offered Cafe Cubano, Cuba’s signature coffee drink. After sipping on delicious rich Cuban coffee, I stumbled across a live Cuban four piece band that played Buena Vista Social Club classics such as Chan Chanand Dos Gardenias. Rhythms were in sync and their voices harmonized beautifully together. I could not believe that this band played on the streets of Havana seven days a week, all day everyday, catering to tourists and locals. 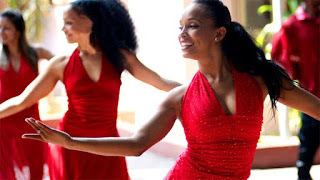 As a young Jazz musician growing up in the United States, I had learned about Old Havana’s music scene and how it had influenced musicians around the world. I was told it was like the “New Orleans” of the Caribbean, and it really does feel this way from cafes to street corners. Cuba’s diverse make up of African, Spanish, European, and Caribbean culture has allowed music to flourish and impact generations of all kinds. 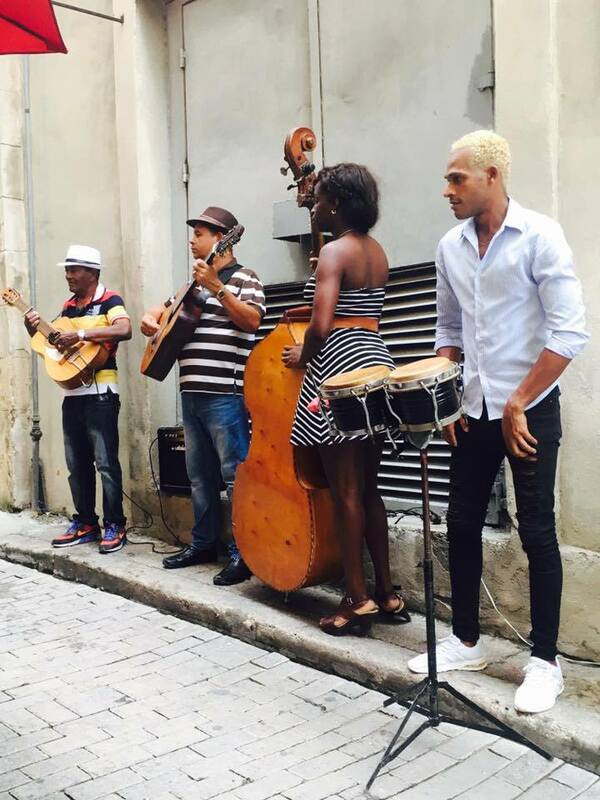 Music seems to be an integral part of Cuban culture. At lunch, we would stumble upon guitarists and singers who would come right up to our table and serenade us at an outdoor restaurant. 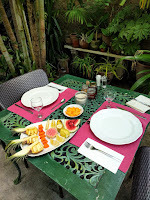 Dinner’s were always accompanied by music and many bands would even take requests from dinner guests. 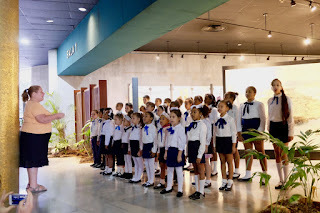 The Cuban people sing and play music with pride as they are proud of their Cuban heritage. My first impression of Old Havana was remarkable, and I will return again in the near future.